The appeal of the Hawker 4000 is easily stated: it is the most advanced and luxurious super-midsize business, private jet in the world. Period. With its sophisticated composite fuselage, supercritical wing, powerful Pratt & Whitney Canada FADEC-controlled engines and state-of-the-art Honeywell Primus EPIC avionics, the Hawker 4000 simplifies the lives of busy executives and helps maximize their productivity. In fact, with an outstanding balance of speed, efficiency, comfort and responsiveness—plus a 3,280-nautical-mile range—the Hawker 4000 serves as the indispensable business tool, getting them wherever they need to be … whenever they need to be there. 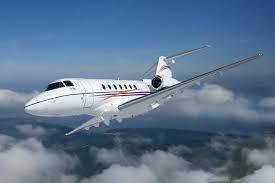 Discover the Hawker 4000, a leader in personal jets. Because you cannot afford to let business opportunities—or the competition—pass you by.